Ivy that's been genetically modified with genes from a firefly. 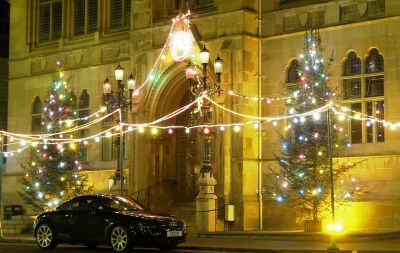 The Christmas decorations on the Inverness Town Hall. I'm afraid the photo doesn't convey the full magnitude of the horror: everything is blinking.